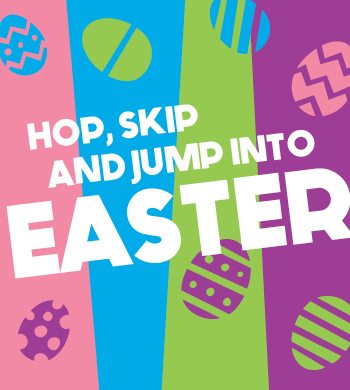 Join us for a family-friendly Easter Jump. Search for hidden Easter Eggs in our huge inflatable arenas. Get pictures with the Easter Bunny too! Jumping/ Egg hunt for the first hour and half, then eat for the remainder of the time. Admission is $14.95 per child and includes: 2 slice of CHEESE pizza/ beverage per child, Easter Egg Hunt with lots of goodies. **Additional pizza can be purchased for the adults at the beginning of the event!